Shia LaBeouf has been nothing if not honest over the past few years. Following run-ins with the law, as well as candid interviews about directors he has previously worked with, the Even Stevens alum tells Variety that he has come a long way since his darkest days. Focused on reviving his career with quality projects, LaBeouf is preparing to release American Honey, a movie that is already earning LaBeouf some of the best reviews of his career. 1. The Steven Spielberg of today isn't the same director from earlier years: "I grew up with this idea, if you got to Spielberg, that's where it is," LaBeouf tells the magazine. 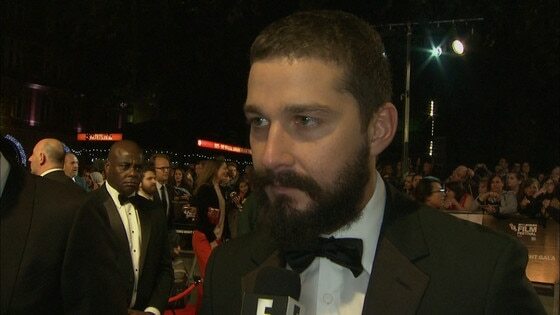 "You get there, and you realize you're not meeting the Spielberg you dream of," LaBeouf says. "You're meeting a different Spielberg, who is in a different stage in his career. He's less a director than he is a f--king company." 2. He regrets the movies he made with Spielberg: "Spielberg's sets are very different," he says. "Everything has been so meticulously planned. You got to get this line out in 37 seconds. You do that for five years, you start to feel like not knowing what you're doing for a living. I don't like the movies I made with Spielberg." Those movies include Eagle Eye and Indiana Jones and the Kingdom of the Crystal Skull. 3. He can't risk falling off the wagon: "You don't touch it," he says. "Alcohol, or any of that s--t, will send you haywire. I can't f--k with none of it. I've got to keep my head low." 4. He admires Transformers director Bay even though he's not interested in doing blockbusters again: "Mike is an artist," LaBeouf tells Variety. "People don't realize how dope that dude is. He's got to get a little ballsier with his moves—he's trying to toe the line and be James Cameron, but James Camerons are dying. I don't know what he's chasing, but that version of director is dead. If Mike is to sustain, he's got to get f--king weird." Why Did Shia LaBeouf Pull His Tooth in "Fury?" 5. LaBeouf knows a female celebrity couldn't get away with having his rap sheet: "It's a double standard, for sure," he says. "Women require grace for longevity. I don't think men require grace. You can be Mickey Rourke." 6. Many movies later, LaBeouf still hasn't been invited into the Academy: "The Oscars are about politics. I gotta earn my way back. It's not about who is the best. I'm not that guy for a long time—for a long, long time," he says. "I'm good with that, though. Sometimes that s--t is a curse." 7. He says his rocky past helped him get to his successful present: "I don't think I'd be working with the directors I've been working with if I had not fucked up a bit," he says. "They wanted a f--king fireball. They wanted a loose cannon. I'm learning how to distill my 'crazy' into something manageable, that I can shape and deliver on the day...I was an open wound bleeding on everything."